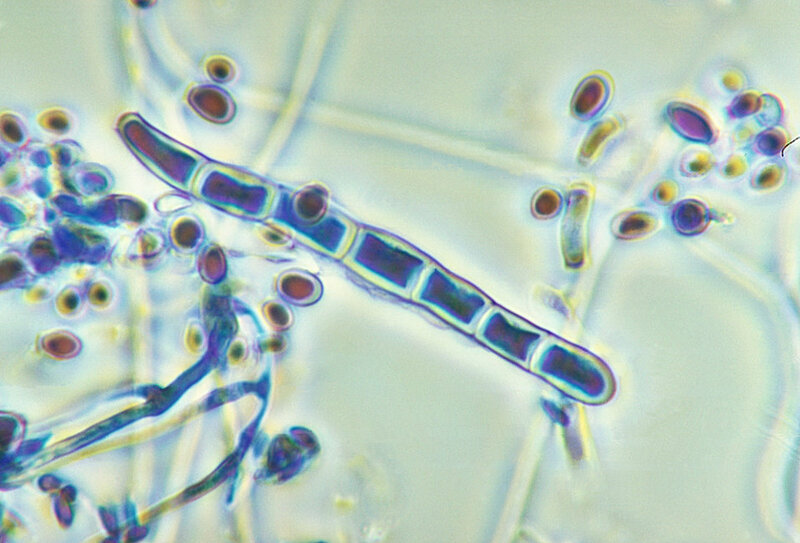 Public Domain Picture: Magnified 1125X, this micrograph reveals both a macroconidium and some microconidia of the fungus Trichophyton rubrum var. rodhaini. Magnified 1125X, this micrograph reveals both a macroconidium and some microconidia of the fungus Trichophyton rubrum var. rodhaini.